An Indian-origin female officer is among three policewomen suing Scotland Yard over racism and sexism claims. 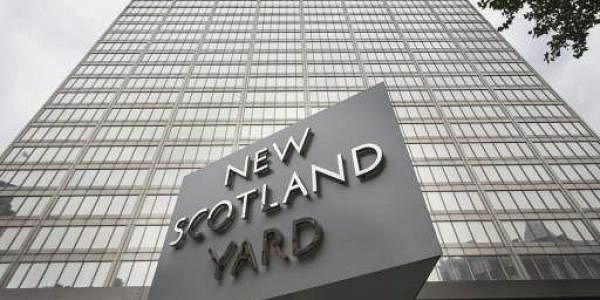 LONDON: An Indian-origin female officer is among three policewomen suing Scotland Yard over racism and sexism claims, a media report said today. Police Constable Usha Evans, Detective Constable Nighat Hubbard – the Metropolitan Police's first Muslim policewoman to be awarded an honour by the Queen – and Hubbard's colleague Catherine Bell allege they had faced discrimination from white male officers, The Sunday Times reported. A judge ruled last week that it would be "just and equitable" for Hubbard to bring the legal claim after the Met Police was trying to block her from making the employment tribunal claim. In a preliminary judgment, among the allegations made by the three officers included white colleagues being allowed to work on more complex investigations, while the women were held back. The allegations date between 2013 and 2014. Hubbard also alleged that male officers had made discriminatory comments on her and other women in the force. An internal inquiry by Scotland Yard found the men had "no case to answer", but Hubbard described it as a "whitewash". One senior officer she accused of discrimination, former detective inspector Mick Standing, was "protected" by the Met and, after her complaint about him, was allowed to retire and join the Independent Police Complaints Commission (IPCC), according to Hubbard's claim. Standing, who left the organisation earlier this month, denies the claims and said he had been "completely exonerated" by a Met investigation. According to Hubbard's witness statement, Bell reported that Standing had told another female Asian officer, "You need to grow a beard, shout more and be more masculine". Hubbard's claim makes allegations about another white, male officer who she claims mocked Evans' religion. Hubbard is leading the allegations which include that when she, Evans and Bell complained about the alleged discrimination to Scotland Yard, the anti-corruption command Directorate of Professional Standards (DPS) investigation that followed was a "sham and a cover-up". Her claims against the DPS will now form part of the case to be heard by an employment tribunal this year. The Met Police said, "We are unable to discuss further while proceedings are ongoing". The IPCC said it did not comment on staffing matters.